Do fur farmers and trappers get a fair price for their products? Questions about the fur trade? Is fur an ethical clothing choice? Many factors influence whether a particular clothing choice may be considered to be ethically or morally acceptable. They include: the environmental impact of producing the raw materials, manufacturing, and eventual disposal of the product; the working conditions of people involved in all phases of production; and the distribution of benefits (e.g., “Fair Trade”). Minimal Waste: As much of the animal as possible should be used. Are animals skinned alive for fur? Absolutely not. The only “evidence” for this often repeated claim is a horrific video on the internet. Produced by European activist groups, it shows a Chinese villager cruelly beating and skinning an Asiatic raccoon that is clearly alive. There are several indications that this shocking scene was intentionally staged. Apart from the obvious cruelty, it is much safer and easier to euthanize an animal before skinning it. So why would anyone do this? It is also odd that this video – and only this video – has been shown repeatedly since it was first released by Swiss Animal Protection (SAP) in 2005; if this were really common practice, we would expect to see many other examples. In fact, when this video first appeared, the International Fur Federation requested the full, uncut film – and information about when and where the incident occurred – in order to conduct a full investigation. These requests went unanswered, a strange reaction from groups claiming to be concerned about animal welfare. Unless, of course, someone was paid to do these horrible acts for the camera and the real objective was to drive animal-rights campaigning ... and fund-raising? UPDATE: "Film denouncing fur deemed 'staged' by IFF investigators". Women's Wear Daily, March 5, 2019. Condensed from: 5 Reasons Why It Is Ridiculous to Claim Animals Are Skinned Alive, TAF - The Blog, Jan. 20, 2016. Contrary to what activists would have us believe, most farmers take great pride in what they do; they take good care of their animals and treat them with respect. After all, their livelihoods depend on these animals, and the only way to produce the high quality of mink and fox for which North America is known is by providing them with excellent nutrition and care. When you work hard to care for animals – seven days a week, 52 weeks a year – you certainly don’t want to see them suffer. It is therefore completely ignorant (and insulting) to claim that farmers would treat their animals with cruelty. They certainly would never skin an animal alive! If respect for the animals and normal compassion were not enough to ensure that animals are not skinned alive, the farmer’s self-interest would be. A live and conscious animal will move, putting the farmer at risk of being bitten or scratched or cut with his own knife – creating a real risk of infection or disease transmission. Why would anyone expose themselves to such risks by skinning a live animal? The answer, of course, is that they don’t! We’ve already explained the dangers of skinning a live animal – only common sense when you think about it – but let’s also take a moment to consider how difficult it would be. Farming is a business and, like in most businesses, it is important to be efficient. Clearly it must be faster to skin an animal after it’s been euthanized. It is also important to understand that the skinning of a mink or other fur animal must be done very carefully, to avoid nicks and other damage that would lower the value of the fur. So, again, why would anyone skin a live animal? Quite apart from the cruelty, it would make no business sense whatsoever. While activists like to accuse farmers of being greedy (“killing animals for profit!”), they don’t seem to understand that skinning animals alive would work against the farmer’s financial interest. Today’s international markets are very competitive. The amount you earn for your fur is determined by a number of factors including pelt size, fur quality, colour … and damage. But the heart of a live animal would be beating and pumping blood; attempting to skin a live animal would therefore unnecessarily stain the fur. Furthermore, after euthanasia, fur animals should be cooled thoroughly before pelting. Otherwise the fur can be damaged and the hair is prone to shed after tanning. Yet another reason why animals are not skinned alive. In North America, Europe, and most other regions it is illegal to cause unnecessary suffering to an animal. Skinning an animal alive is therefore not only inhumane and immoral – it’s clearly illegal. Yet another reason why animals are not skinned alive. By The Shanghaiist, Aug. 27, 2013. By Fur Commission USA, May 3, 2011. By Fur Commission USA, May 25, 2005. Is fur processing bad for the environment? The production and dyeing of any clothing material must be carefully regulated to protect the environment. 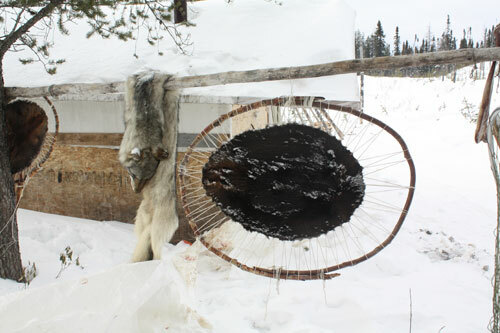 Fur tanning ('dressing') and coloring, however, are designed to preserve fur hairs and follicles, rather than remove them from the hide, as in leather tanning. The main chemicals are alum salts, including aluminum sulfate. These are quite benign chemicals, as they have to be to protect the fur. Alums have been used for hundreds of years for water purification, to reduce the pH of garden soil, and for medicinal uses. Aluminum sulfate is the active ingredient in many antiperspirants and it is used in styptic pencils to stop bleeding when shaving and to relieve pain from insect bites. We also use regular table salt (NaCI), lanoline and other natural ingredients. Is your fleece killing the ocean? That’s pretty well impossible with today’s strict, government-regulated trapping seasons and other rules. As trappers, our goal is to maintain stable and healthy wildlife populations; we don’t want to deplete our own resource – that would put us out of business! The real threat to wildlife today is not hunting or trapping, it is the destruction of the wilderness areas by industrial activity – and trappers are the ones who are out there monitoring what’s really happening out in the bush, sounding the alarm and working with logging companies and government to protect that natural habitat. Regulated hunting/trapping is a solution, not a threat. Historically, there were few regulations governing hunting and trapping, and some species were indeed seriously reduced, including some local beaver populations. Starting in the early 20th century, a body of regulations began to be built, to control harvests at the state and provincial level, and internationally to ensure that wildlife species were not endangered by trade. Today, fur trapping regulations are designed to ensure the sustainable use of this valuable, renewable natural resource. Meanwhile, the growth of fur farming (in particular of mink) functions as a safety valve, reducing pressure on wild populations when demand increases. Thanks to modern fur-management practices and regulations, all the fur used today is taken from abundant populations. Beavers have made a spectacular recovery from historical over-harvesting, and are now abundant across North America. Raccoons, coyotes and foxes are more abundant than they have ever been. Why is American mink the world's favourite fur? Skunk fur, why have we forsaken you? Are farmed animals killed humanely? Farmed mink are usually euthanized with carbon monoxide (CO) gas that very quickly renders the animals irreversibly unconscious. From an animal-welfare perspective, it is also an advantage that mink are euthanized in the barn where they live, by people who feed and care for them every day. Food animals, by contrast, must be transported to often distant abattoirs; being loaded and unloaded from trucks and confined in close quarters with many other animals is often the most stressful part of the slaughtering operation for food animals. By National Farm Animal Care Council, Canada. 2013. What types of furs are used in the fur trade? Many different species of furbearer are used in the fur trade, catering to different market segments. 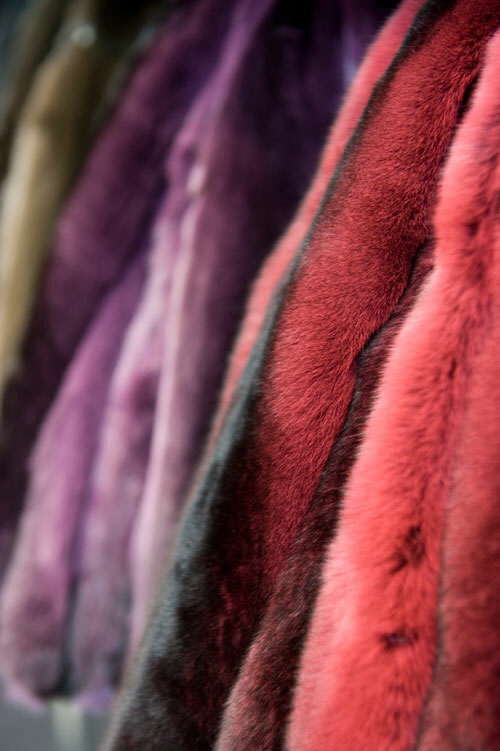 For the top luxury market, some of the most important types include mink, sable, and chinchilla. For less-expensive options, the most popular are rabbit and various forms of sheep fur: sheepskin, lambskin or shearling. Rabbit and sheep fur are mostly by-products of human food production. 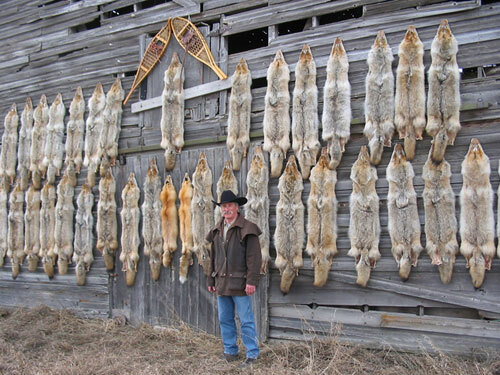 More than 80% of pelts used today in the global fur trade comes from farms. North American farms produce very high-quality mink and fox, while other regions farm a variety of species, including mink, fox, chinchilla, Asiatic raccoon, Rex rabbit, and karakul sheep (also known as Persian lamb, or Swakara). Furs taken from the wild are still very important, accounting for almost 20% of all furs used. The world’s largest producers of wild furs are Canada and the US, and almost half of all pelts produced in North America today are still from the wild. These include a wide variety of species, with some of the most prized being coyote, marten, fisher, bobcat, and lynx. Less valuable but highly abundant and very versatile are beaver, muskrat, raccoon, opossum, and red fox. Smaller quantities of wild furs also come from Russia (sable), Europe (fox), and South America (fox, nutria). After the fur is used, what happens to the rest of the mink? In mink farming, nothing is wasted. The fat is rendered into mink oil that is used to protect and waterproof leather, as well as in the cosmetic industry and now sometimes to produce bio-fuels. The rest of the carcass, with the manure and soiled bedding (straw or shavings) is composted to produce organic fertilizers. In Nova Scotia, Canada, pilot projects are transforming mink wastes into methane for bio-energy production. Are farmed mink raised only for their fur? By Biodiesel Magazine, Feb. 10, 2009. What is it really like to work on a mink farm? If you are thinking of starting a mink farm, be sure that you enjoy working with animals and devoting long hours to their care. Raising mink (or other farm animals) is definitely not a 9-5 job; it is a 24/7 commitment, 52 weeks a year! How are fur animals trapped in the wild? Two main types of trapping system are used in North America: quick-killing traps and restraining traps (live-capture). Quick-killing systems: From a humane perspective it is usually preferable for an animal to be killed at the time of capture, because wild animals do not want to be restrained, no matter how gently. 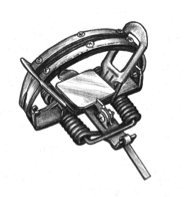 The most common quick-kill devices work like large mousetraps (e.g., conibear traps, named after Canadian trapper Frank Conibear, who developed the first prototypes in the 1950s). Once the animal trips the trigger-pan, the metal striking bar hits a vital spot with great speed and mechanical force, causing unconsciousness and death in a matter of seconds. Restraining traps can also be used in submersion “sets” as a quick-killing system for semi-aquatic species, e.g., muskrats. Restraining systems: Live-holding traps are needed for larger predators because these animals (e.g., wolf, coyote, lynx, bobcat) are too cautious and strong to be taken in quick-killing sets. Modern foothold traps are designed to hold the animal with little or no injuries until the trapper arrives to dispatch it. 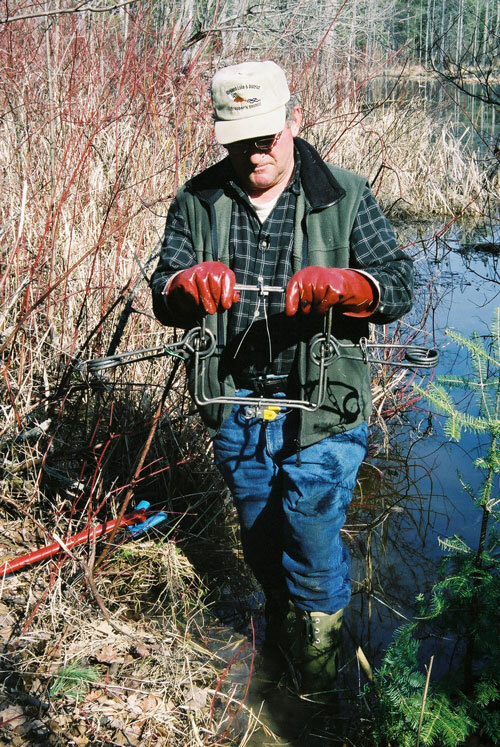 In fact, these traps are commonly used by wildlife biologists to capture and release predators unharmed after radio-collaring or relocation. More than 58 million USD has been invested over the past 20 years (by state and federal governments and by the International Fur Federation) to develop and test innovative humane trapping systems. 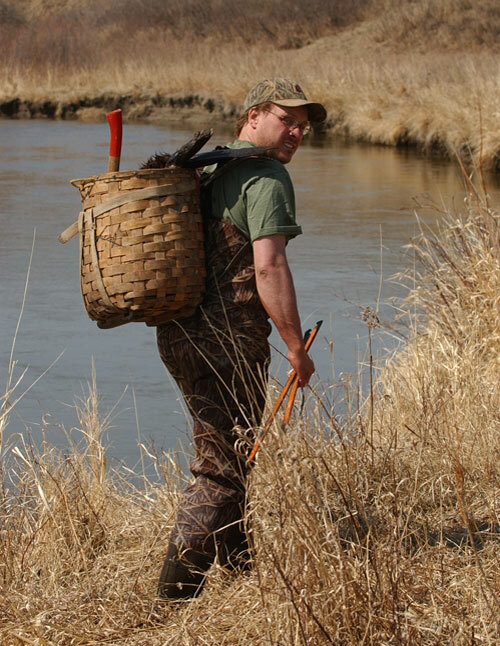 This research, coordinated primarily by the Fur Institute of Canada and the Association of Fish and Wildlife Agencies (AFWA), has guided the introduction of modern state and provincial trapping regulations and trapper training courses. It also provided the scientific basis for the Agreement on International Humane Trapping Standards (AIHTS), which was signed in 1997 by the European Union and two of the main wild-fur-producing countries: Russia and Canada. The USA signed a similar agreement. By Frank Boyd, Alabama State Director, USDA APHIS Wildlife Services. YouTube. Are steel-jawed leghold traps still used in North America? Traditional steel-jawed foothold or leghold traps with jagged metal “teeth” have not been used in North America for many years; their use has been banned for almost fifty years. The only place you will see them today is in the museum – or in animal activist publications. Modern foothold (or “restraining”) traps are very different from the original versions. They have no sharp “teeth” and the holding bars on “soft-catch” traps are coated with rubberized cushioning and the jaws may be “off-set” (i.e., the metal jaws do not close completely. The chain that anchors the trap includes shock-absorbing springs and swivels that prevents injuries to the captured animal. By Frank Boyd, Alabama State Director, USDA APHIS Wildlife Services. Why do we need foothold traps? While quick-killing traps are still usually preferable, from a humane perspective (because no wild animal wants to be restrained), live-holding systems are still required for some larger predators (that are too strong or cautious to be taken in killing sets), or when conservation authorities need to radio-collar or relocate animals. 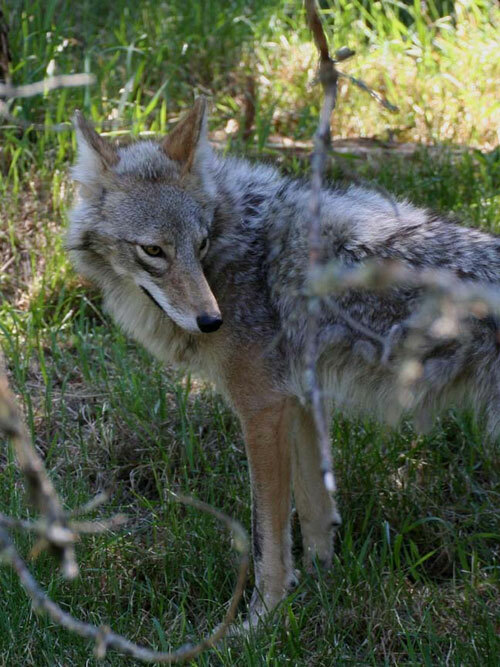 The fact that modern foothold traps are used by wildlife biologists to capture and release coyotes, wolves, lynx and other animals unharmed, is the clearest indication that these traps are not the diabolical devices that activists would have us believe. By With Frank Boyd, Alabama State Director, USDA APHIS Wildlife Services. YouTube. Historically, leg-holding devices were used to trap animals and many were not considered humane; steel leghold traps were known to cause injuries to animals. Thanks to research done by the Alberta Innovates Technology Futures, there are now devices (padded traps with rubber jaws) that don’t cause injuries to animals. Trap research has meant that there are traps available that can live capture an animal in one location, to relocate to another area, and that animal would not have any injuries from the time it is captured to the time it is relocated. How are trapped animals killed? Most wild furbearers – over 90 per cent, in Canada – are now killed virtually instantly in quick-killing traps. Only a small proportion (about 15%) of furbearers – i.e., wolves, coyotes, lynx and foxes – are still taken in live-holding devices. In Canada, these are the only four species (of 22 species of furbearers) for which the use of live-holding traps is still legal. Once captured in live-holding traps (which must be monitored very frequently) these large predators are euthanized with a small-caliber shot to the brain; this is the only method recommended in trapper-instruction manuals and by veterinary associations in North America. 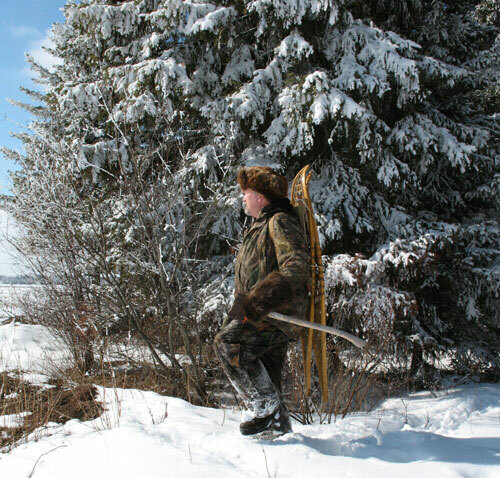 In some regions, licensed trappers can have a permit to carry small-caliber handguns for this purpose, since it is not always practical to snowshoe through the bush with a rifle and all our other equipment. How are farmed foxes killed? "The method of euthanasia on a fox is done by electrocution, and it’s been studied to no end and found to be a very humane and proper method of euthanising. There’s numerous ways it can be done but we have to balance with the industry and this one fits into the industry. Electrocution is used in poultry, it’s used in pigs, it’s used in foxes, and the training and the testing has shown that 100% of the animals are dead within 10 seconds, and there’s no end of studying how to decide they’re dead, and to make sure that the lay person can be assured of that. "The products are made commercially, which is something I like. It’s not electrocution made by the farmer as to what he thinks is going to do the job. He has a commercial unit for doing this, proper ways of doing it. There’s quality control to make sure this machine is going to work, and that it’s going to do what it’s supposed to do and make that animal dead within 10 seconds." How are farmed mink killed? "When harvest time comes around, there are requirements and guidelines that ensure mink are euthanized humanely. A mobile unit is brought to the cages to eliminate stress that might be caused by transporting mink long distances (loading, unloading and transporting animals is generally much more stressful for them than the actual slaughtering operation.) This mobile unit includes a specially designed airtight container which has been prefilled with carbon monoxide. The animals are placed inside, rendered unconscious in less than 30 seconds, and die quickly and humanely." How do we know only targeted animals are captured? Modern trappers have a range of techniques to ensure that only the furbearing animals they are targeting will be taken in their traps. 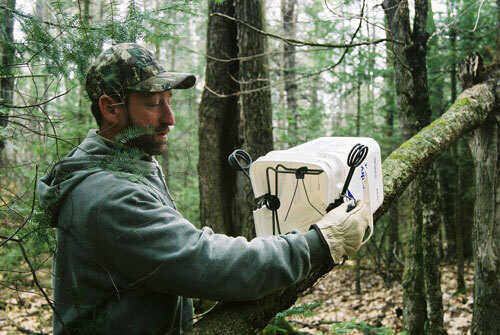 For example, marten traps are set on tree limbs in special boxes to protect them from dogs and even birds. The location, timing and the way in which traps are set, the lures and baits used – these are all elements taught in trapper training courses to ensure that only targeted species are taken. What happens to the rest of the trapped animal after the fur has been taken? 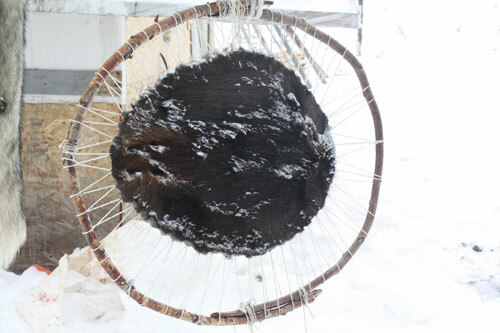 For aboriginal and other trappers living far from urban centers, beaver and other wild furbearers provide food as well as fur, income and other resources. Whatever is not eaten by trappers and their families is returned to the forest to feed other wildlife through the winter. By From Cajun Cooking Recipes. By From Foremost Coyote Hunting. Why do we still need trapping? Can’t nature take care of itself? I can understand why some people might think that, especially if they are not aware of how profoundly we have transformed and encroached on the landscape across this country. This is no longer a “natural” environment and we cannot dodge our responsibilities to restore some sort of balance to a system that has been radically disrupted. Biologists often talk about the “carrying capacity” of a natural habitat. But today we also have to think about the “societal carrying capacity” – in other words, how many animals and what types of animals are we ready to tolerate in close proximity? Coyotes and foxes are snatching pet dogs and cats from people’s backyards in many towns and cities. Moose and deer are colliding with cars, causing serious injuries. Beaver flood forests and roads, fields and property; raccoons and other species carry dangerous diseases and parasites, including rabies and intestinal roundworm. We co-exist in close proximity with wildlife in much of our country and we must maintain some sort of balance. In this context, trapping is an essential conservation tool to help maintain stable and healthy wildlife populations in a responsible way. Is fur still biodegradable even though it is 'processed' to make it long-lasting? Fur is a natural, organic material, and like all such materials will quickly disintegrate and biodegrade unless preventive measures are taken. To prolong the life of fur garments, pelts first undergo a special tanning process known as "dressing". This process protects the hair follicles and the fur, while preserving the skin, making it less likely to disintegrate and therefore more durable. However, even this tanning process cannot prevent deterioration entirely, and the fur pelts will, in time, dry out and become brittle. But when the garment is properly cared for, this could take several decades. Eventually, however, fur pelts will biodegrade just like any other organic material, and can even be turned into compost for your garden. To demonstrate this, and also to compare the rate of degradation with that of fake fur made from petroleum, Truth About Fur conducted the Great Fur Burial experiment. The results were clear. After one year, the real fur had almost entirely biodegraded, while the fake fur remained intact. By Organic Waste Systems, Ghent, Belgium; commissioned by the International Fur Federation and Fur Europe, 2018. Are furbearers trapped only for their fur? Trapping would be important even if no one wanted fur; regulated trapping is now an essential element of responsible wildlife management in the USA. Many people don’t know that modern traps are used to capture animals, unharmed, to apply radio collars for research, or to reintroduce species (wolves and river otters) into regions where they were previously eradicated. Trapping is also essential to protect some thirty endangered species of plants and animals. Whooping cranes, for example, would almost certainly be extinct in the USA within two years if we didn’t aggressively trap predators like coyotes and foxes in their nesting areas. Endangered sea turtles are also protected by trapping raccoons and foxes that seek to dig up their eggs. Wolves must be managed to protect livestock, while beavers can cause millions of dollars of damage to forest habitat, water supplies, agricultural land, roads and other property by flooding. Skunks and raccoons in cities carry lethal diseases (rabies) and dangerous parasites, such as intestinal roundworms. By Fur Institute of Canada. By Association of Fish & Wildlife Agencies (US). How are the prices of fur determined? Fur prices are determined the old-fashioned way, by supply and demand. Trappers and fur farmers send their pelts to one of North America’s three fur auction facilities, where expert “graders” sort them into “lots” of furs of similar type, size, color and quality. There are also important auction houses in Europe, which is the largest producer of farmed furs (mink and fox). Fur buyers, designers and manufacturers from around the world gather at auction sales that are held several times each season. 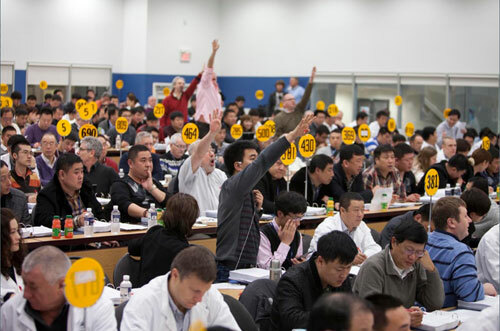 After an inspection period, each fur “lot” is presented by the auctioneer in a room where 300-400 international buyers compete to secure the furs they need for the coming year. However, since prices for pelts are driven by supply and demand, they can vary widely. For example, as of 2018, prime coyote pelts are earning good money because they are being used to trim popular down-filled parkas, while muskrat and beaver prices are depressed. Farmed fur is the same. In most years mink pelts generate enough profit for farmers to invest in their business, but following international supply and demand cycles, occasionally prices can dip below the cost of production. Prices, moreover, are not the only factor influencing fur production. For example, trappers still harvest muskrat and beaver even when the prices for these furs are low, because these species can cause considerable damage if their populations are not managed. These (and other) species are also used as food. How are prices of fur determined? How long does it take to make a fur coat? 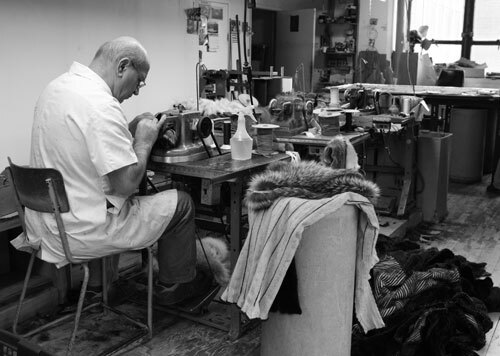 It can take from 40 – 100 hours of meticulous craftsmanship to create a fur coat. Each garment is hand-made, using artisanal skills maintained through centuries-old traditions. Each coat is individually cut and sewn – and in my case, knitted or woven – so each piece is unique, an authentic work of art. Is fur still warm if it is 'sheared' to be less bulky? Yes. Most of the warmth of a fur is actually provided by the dense underfur (“duvet”), while the longer guard-hairs provide protection against branches, wind and rain. 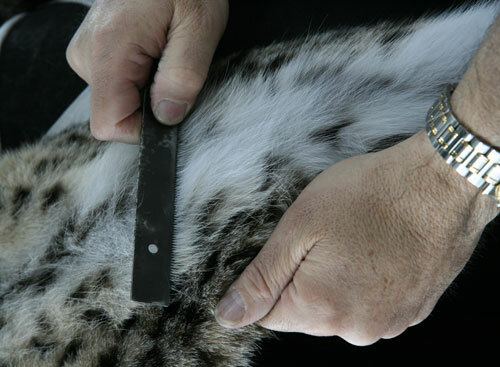 Shearing is now often used to reduce the bulkiness and weight of a fur coat, and while the thickness of the under-fur may sometimes also be reduced, its main goal is to shorten the guard-hairs. In the best sheared-fur garments, the guard-hairs may be removed entirely by "plucking", a process commonly applied to beaver. Because shortening or removing guard-hairs has little effect on the fur’s insulation properties, sheared fur is ideal for dry winters, linings and items like scarves. For wet and windy winters, a fur with the guard-hairs still in place may be preferable. As it happens, the world's most popular fur, mink, comes naturally with short guard-hairs, which means it is light and a great all-rounder even without shearing. Two types of fur are worth a special mention here. Chinchilla is the second-densest of all furs after sea otter, but has no guard hairs at all. So it’s extremely warm but not something you want to wear in the rain. Ringed and harp seals, meanwhile, have nothing but guard-hairs, with no under-fur. So sealskin garments are not the warmest furs, but they are extremely resistant to wind and rain. Are fashion designers using fur in their new collections? Yes, more designers are currently working with fur than ever. In the autumn wear collections for 2017 in New York, London, Milan and Paris, the International Fur Federation reported that out of 354 designers featured, 190 used fur. Fur has long been appreciated by designers and their customers for its warmth, beauty and luxurious feel, but the ways in which fur is used have evolved and expanded greatly in recent years. New techniques for working with fur have made it more versatile, giving designers more freedom to be creative. In addition to outerwear apparel, fur is increasingly used for vests and other small pieces, for linings and trims, and for a wide range of fashion accessories. Animal rights groups like to list brands that don’t use fur, but the majority of these are fast-fashion brands whose price point is too low to include luxury materials such as fur. Meanwhile, among the higher-end brands, fur continues to be prominent in most designer collections, including Alexander McQueen, Balenciaga, Dior, Fendi, Louis Vuitton, Prada, Salvatore Ferragamo, Valentino, and many more. Why don’t designers use fake fur instead of real fur? Some do, of course, but most of the best designers use real fur. As they say, imitation is the sincerest form of flattery, and designers have flocked to fur because of its extraordinary softness and rich, luxe texture. No synthetic product can even come close to reproducing this. In today's socially conscious world, designers do the homework in order to be aware of consumer concerns. Designers today know that real fur is a responsibly and sustainably produced, renewable, natural resource. By contrast most fakes are made with petroleum, a non-renewable resource. Up to one gallon of petroleum is used to produce three synthetic jackets. The production of synthetic fibers also involves chemical reactions at high temperatures, producing potentially harmful substances. But some designers are working with fake fur in order to give their customers a choice, both in terms of price as fake fur is generally cheaper, and for those who like the look of fur but choose not to buy fur. We support this choice. Where can I buy fur? It depends on the type of fur you want. Functional furs like coyote-trimmed parkas and raccoon hunting hats are often carried by shops selling outdoor sporting goods. Like everything else these days, they can also be bought on-line. For more expensive, fashion-oriented items like mink jackets and fox stoles, you’ll want to visit your local fur salon or specialty boutique. There you will receive expert advice on the variety of styles and types of fur that would be most suitable for your lifestyle. If you don’t know where to find a fur salon, the Internet is your friend. 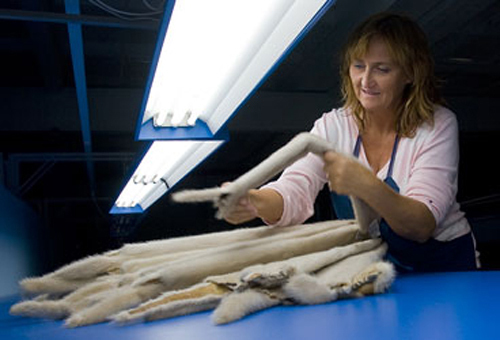 Here are two excellent guides to fur retailers in Canada and the US. There is also a growing market for vintage furs, which are much less expensive than new garments. The best places to buy vintage furs are antique stores, vintage clothing stores, and flea markets. If you want your vintage fur remodelled, some fur salons offer this as a service. By Fur Information Council of America. How do I choose the best fur for me? Choosing the best fur for you is like choosing a car. Most of us can’t afford a different car for every activity or need, so we pick the important ones – say, school runs and camping – and buy accordingly. Furs are the same. Unless we can afford a different fur for every occasion, we need to choose carefully with our personal lifestyles in mind. 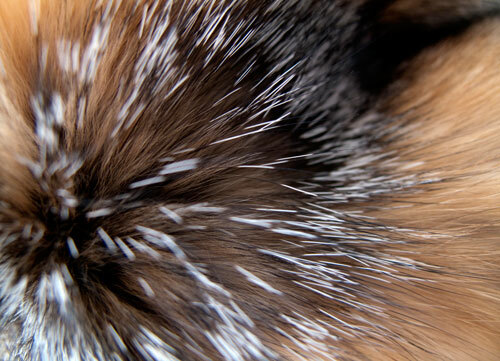 The first question is easy: what will be your fur’s primary function? As cars are to get from A to B, so furs are for keeping us warm. But again as with cars, furs usually have to be multi-functional. Yes, we want to keep warm as we go about our daily activities, but we probably also want to look great on a night out. So the second question is often, how do we balance beauty with functionality? Before you start picking out styles and fur types, ask yourself how you’ll be wearing your fur. Will you be mushing dogs across Alaska (in which case comfort and warmth trump sophisticated styling), or will you be sipping martinis on the patio in California? Durability. Mushing dogs takes its toll on any clothing, sipping martinis not so much. • Cost. Furs can run from a few hundred dollars to the price of a small house. But the best fur for you may not be the most expensive. • Fur type. All furs are not equal – mink and chinchilla are as different as chalk and cheese. And remember that furriers usually stock the most popular types. If you’ve got your heart set on skunk or New Zealand possum, be ready to shop around. • Your gender. Most fur types are unisex, although men’s garments tend to be less ostentatious than those for women. Still, otter, fisher, coyote and other rugged furs are often appreciated by the guys, while more delicate furs like chinchilla are usually for the ladies. So let’s run through some scenarios and help decide the best fur for you. Most furs have two types of hair – long, shiny guard hairs and short, fine underfur. The guard hairs are what we usually see, and they protect the animal from branches and other obstacles, while the dense, soft underfur does most of the insulating. So furs with delicate guard hairs, like fox, or none at all, like chinchilla, can be lightweight and warm but are fragile, requiring lots of tender loving care. The most popular furs – including mink, beaver, marten (Canadian sable), coyote, and others – combine beautiful, protective guard hair with the warmth of soft, dense underfur. 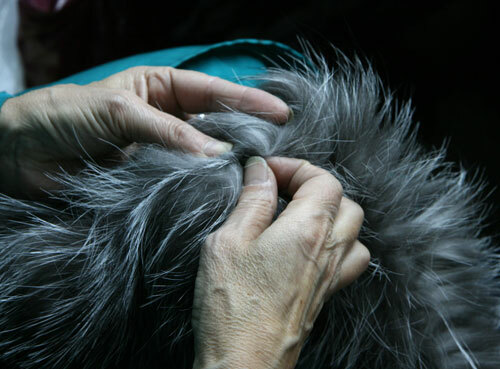 Many furs (mink, beaver and others) are now “plucked”, meaning that the guard hairs have been removed, and/or “sheared” down to the height of the underfur or shorter. This reduces the weight of the garment, and provides a sleeker silhouette while maintaining much of the warmth. A shearling coat is made from sheepskin, with the wool sheared down to reduce bulkiness. (Think Uggs.) Shearling is often worn “reversed”, with the fur side in, against the body, increasing warmth. This is how most furs were once worn when warmth was the primary concern. In fact, our word “fur” comes from the Old French “fourrer”, literally meaning “stuffed”. Some furs (cow, calf and seal) are called “flat” furs because they have no underfur, only guard hairs. While beautiful, these furs are not much warmer than a good leather coat. Caribou, worn by traditional hunters in the Arctic regions, is remarkably warm because it has hollow guard hairs, but that’s not something you’re likely to find at your local fur store or fashion boutique. In any case, it makes you look like, well, a caribou. In summary, if keeping warm is absolutely paramount in your decision-making, check out what the pros use: mushers, polar explorers, and ice fishermen. But if you want to stay cozy while looking great in normal winter conditions, most popular furs will do the job. Scenario #1: Ice-fishing in Nunavut. You’re dressing to stay alive, so a knee-length caribou parka with sealskin boots are perfect. If you can’t find a caribou parka, try one with a rugged fabric shell filled with goose down, and fur trim on the cuffs, hem and hood to keep the wind at bay. Wolverine is considered by Arctic Inuit to be the most effective hood ruff, but wolf, coyote or fox also work well. Research suggests that the uneven length of natural fur hairs disrupts air currents that can rob heat from around the face. Whatever the reason, a fur-trimmed hood is a “must” in cold temperatures; it really works. #2: Après ski. You want to be warm and look spectacular, while doing nothing more strenuous than raising your glass. For the ladies, didn’t Audrey Hepburn look great in Charade in sheared mink with a matching pillbox hat and giant sunglasses? Mink has very dense underfur, so even with the guard hairs sheared, you’ll still be toasty. For really chilly evenings, consider a fox or, better still, a chinchilla jacket. Despite being ultra-lightweight and super soft, chinchilla has extraordinarily dense underfur. Pair yourself with a ruggedly handsome man in coyote or long-hair (unsheared) beaver for the full experience! Keeping dry is part of keeping warm, because being wet greatly increases the wind chill effect. Underfur that is unprotected by sturdy guard hairs absorbs water, so if you’re expecting damp weather, avoid chinchilla and rabbit, as well as furs that have been sheared or plucked. If you expect your apparel to be exposed to rain very often, you have three smart choices: flat fur, a “reversed” fur or fur lining, or fur with plentiful, long guard hairs. Another way to keep warm and dry is to wear a reversed fur, or a jacket made with a water-resistant material and a fur lining. The most common reversed fur is shearling. Once bulky (think WWI aviator jackets), they are now made in a wide range of beautiful and sophisticated styles. Fur-lined raincoats or jackets can be worn year-round if you opt for a removable lining. While full fur coats are not ideal for heavy rain, most good-quality beaver, muskrat, marten and other furs have long guard hairs whose natural oiliness repels water to a certain extent. If your furs get wet, never dry them near radiators or intense heat. Just shake off excess water and hang your garment to dry slowly with good ventilation. If your fur gets really soaked, it’s usually best to consult a professional furrier. In this age of fast, disposable fashion, it’s gratifying that most furs can last for decades, especially with professional cleaning and storage. But some are more durable than others. The least durable are furs without strong guard hairs, such as rabbit and chinchilla, which may shed if rubbed a lot (think shoulder bag straps). The most durable are otter, beaver, and mink, with raccoon, coyote, and marten not far behind. Natural furs tend to last longer than those that have been sheared, plucked, or dyed. So, you want a jacket that can survive 20 years of real-life use before being passed on to your son or daughter? Mink is hard to beat, but you can also try long-hair or sheared beaver, marten, coyote, raccoon, or fisher. Are you an attention grabber, or do you prefer to be discreet? If you’ve just won Best Actress and want the world to know, a long-haired fur is for you. Associated with flash and glamour, nothing gives the movie star / rapper look like a fox coat, with its long, shiny guard hairs and spectacular natural colours. For men, long-hair beaver, fisher and coyote are bulkier and coarser, and often used for parka trim, but in a full-length coat give instant Mountain Man credibility. For more sophisticated elegance, nothing beats mink. But sheared furs – or a fur-lined jacket or parka – also give you the luxury and warmth of fur without making a big deal about it. For those who want something new, technological advances mean designers now have more room for creative expression than ever before. The classic mink coat has been reinvented for a more modern look, but all furs can now be transformed with shearing, leathering, knitting, intarsia, dyeing and many other techniques. Sheared mink can be made so light and supple, just dye it green and people will wonder what exotic new fabric you’re wearing! Knitted fur is also very light, and as flexible as a woollen sweater. Few fur fans can afford a $100,000 full-length chinchilla coat like Floyd Mayweather, but don’t be discouraged. Entry-level fur garments have two fewer zeroes, and accessories are half that again. 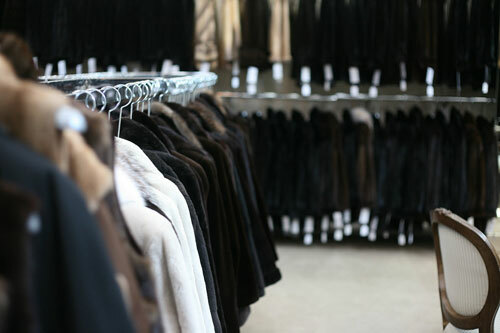 The main factors determining cost are the type of fur, the quality of the pelts, the size of the garment, and the processing and manufacturing techniques required to make it. 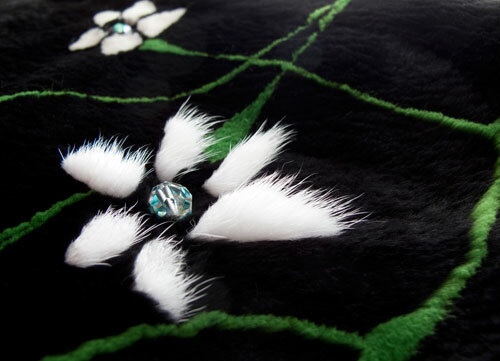 The price of the same fur type can vary widely, depending on the quality of the pelts used and the workmanship involved. Top-quality mink, sable, marten (Canadian sable), fisher, bobcat, lynx, and chinchilla are some higher-priced furs. Popular furs in the middle price range (say, $5,000 to $10,000 for a full-length coat) include good-quality mink, fox and beaver. Muskrat, possum, raccoon, and good-quality shearling may cost half that. Cheapest of all are rabbit (sometimes known as the “great imitator” because it can be made to look like just about anything else) and lower-end sheepskin, a durable product that’s only cheap because the pelts are so readily available. As for size, obviously a full-length coat costs more than a jacket, which costs more than a vest, and so on down. Many fur fans start out with fur-trimmed hoods, collars, scarves or mittens, which are not only affordable but also flexible in how they are worn. A fur vest, for example, can be worn under a jacket in winter, or on its own in spring. Another cost factor to consider is cleaning. Darker furs hide dirt better, while long guard hairs are good at repelling dirt that might otherwise get stuck in the underfur. Bottom line: take your time when choosing the best fur for you. Visit several boutiques and, ideally, a specialized retail furrier. Fur-working techniques and styling have changed so much over recent years that you will be surprised by the wide range of choices available. The research is a pleasure in itself. The good news is that, thanks to the creativity of a new generation of young designers, there’s never been a better time to choose the best fur for your taste and lifestyle! Why is a fur coat expensive? The price of a fur coat reflects many hours of skilled work required to produce it. Before designers ever see the pelts, there is the effort and knowledge of the trapper or fur farmer. Once the furs have been purchased at the auction and sent to the processors for “dressing” and other special treatments, the pelts are individually matched for quality and coloration in the designer’s atelier. The pelts are then cut and “blocked” (dampened, stretched and tacked on a “blocking board”) to fit the pattern. 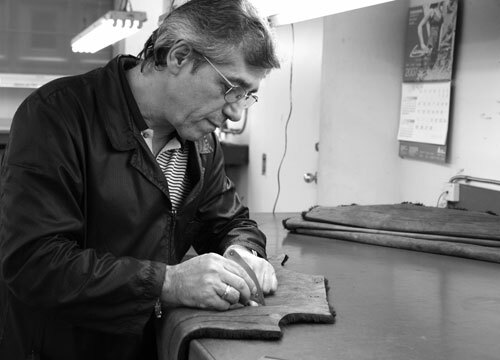 The sewing and finishing stages are done by experienced technicians using specialized skills that have been perfected over generations. Because furs are created by nature, no two pelts are exactly alike. The genius of furriers is their ability to create a homogenous fabric-like material, while skillfully using the natural character of the skins to enhance the design of each garment. The production of a beautiful fur coat may require 40-100 hours of skilled labor, or more. 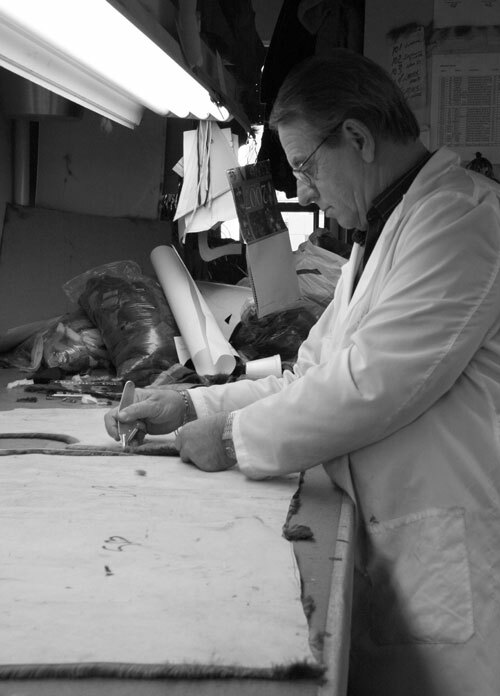 How are furs designed and fabricated? How long can I expect my fur coat to last? That depends on the type of fur. 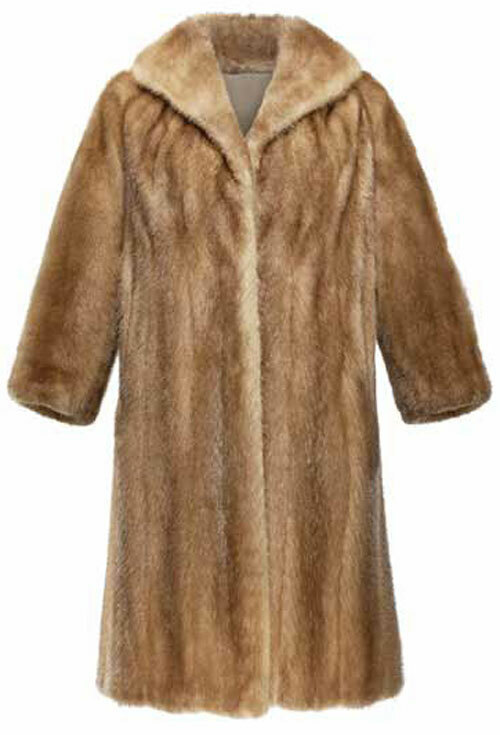 It is not unusual to see well-made mink coats that are still in good condition after 20-25 or more years of use. 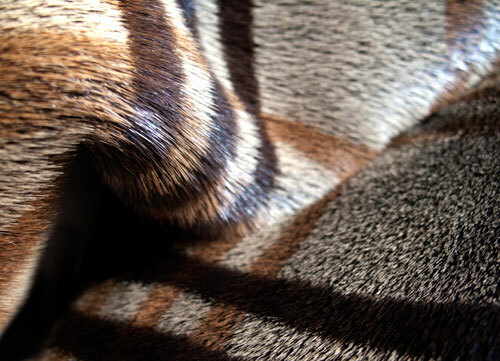 Beaver and Persian (karakul) Lamb, as well as raccoon and coyote are also very durable furs. Chinchilla, the softest of all the furs, is more fragile. The use you can get from your fur is further extended by remodeling. What can I do with my old fur coat (or a coat I inherited)? Don't worry if your fur coat looks outdated. One of the outstanding advantages of fur is that it can be remodeled according to the latest fashion trends. You can now easily give a new life to an old fur coat by completely transforming it: the coat is taken apart and restyled, the fur is sheared and dyed and a completely new look is created. Older furs can be recycled into vests, hats, pillows, knapsacks and a whole range of beautiful and practical new products. What should I look for in a vintage coat? There are a few key elements that are important to keep in mind when browsing for vintage furs. First, examine the piece carefully. Make sure there are no tears, that the hair does not come off easily and that the fur has not yellowed. This may mean that the fur has begun to oxidize, which is something you want to avoid. Secondly, the leather must be supple and the fur soft. If the leather is brittle and crunchy, or if the back of the pelts do not have any elasticity, then the fur is nearing the end of its life and you should pass. The #1 place to buy and sell pre-owned furs! How do I protect my furs in the off-season? The best way to ensure that your fur will last for many years is to have it professionally cleaned and stored through the off-season by your local retail furrier in a temperature- and humidity-controlled storage vault. Is there a market for rabbit fur? Rabbit fur has long been used to produce apparel and accessories, but it is not very durable and cannot compete with furs like mink or fox. Most of the high-quality rabbit fur is produced in Europe, particularly Spain and France, while China produces a more commercial grade. Production in North America is artisanal only. In North America, there was a thriving commercial market for rabbit fur in the first half of the 20th century when it was often dyed and passed off as an inexpensive imitation of more costly furs. For example, “minkony” was rabbit dyed to look like mink, while “ermiline” was white rabbit, sometimes with black spots for an authentic ermine look. However, with the tightening up of labelling laws and greatly increased availability of farmed mink, the use of rabbit fur declined and today there is no commercial market in North America. Far more important nowadays is the market for wool produced from Angora rabbits, which are specifically bred for this purpose. But as only the hair is used, not the skin, this does not qualify as fur. How have foothold traps been made more humane? 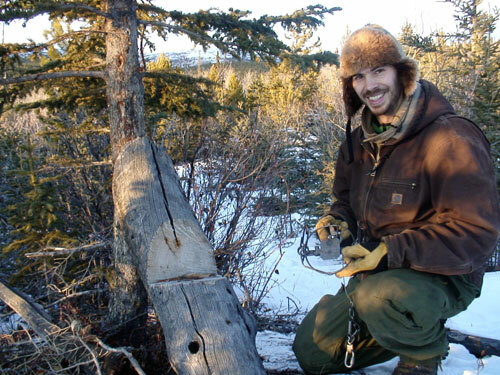 Over the years trappers have sought to improve their traps so they would be both humane and capture-efficient. Today, foothold traps are used for different reasons like research and animal relocation. Traps are designed to hold an animal without causing injury. What do farmed mink eat? Farmed mink eat a number of by-products, and it varies from area to area. Some areas on the coastlines of North America their diet tends to be a lot of fish-based products, but these are what we call fish racks, that type of thing, where it’s all of the fish that is processed for human consumption is taken off, and then we get the by-product of that. In the Midwest we have a lot of cheese. I’m from Wisconsin. There will be times when our mink will eat 20-25% cheese in their diets, and they’ll consume jalapeño cheese and pepper cheese. And in that case, this is all product that is not fit for human consumption. It’s trimmings. When you make cheese, when you age cheese, there’s mold on the outside and so they trim them all off and then in order to square it up to get your nice slices for the store, you get all the odd-shaped trimmings. That’s the type of thing that goes into mink food. And then also the by-products from the pork and poultry and beef industry. By Fur Commission USA, Oct. 28, 1999. How can trapping be used for relocation? In some areas, animals that once existed no longer exist and some provincial and federal organizations decided to re-introduce animals to those areas. In order to reintroduce an animal to an area, the animal needs to be trapped and caught from other areas. The live holding device that is used to do this is a trap, and this is how traps are used for relocation of animals. Are farmed mink treated humanely? The US mink industry operates under a strict set of guidelines for best management practices. There is a myriad of laws, both at state and federal level to prevent animal cruelty and promote animal welfare. Mink farmers must abide by these laws like other sectors of farming. If cases of abuse or neglect arise – and they are very rare -- they have consequences, just like for anyone else. Furthermore, Fur Commission USA has developed standards for animal care and certifies mink farms that meet or exceed them. Canadian mink and fox farmers – like other sectors of animal agriculture -- follow recently updated Code of Practice to ensure the welfare of their animals. The Codes of Practice were developed by veterinarians, animal scientists, farmers and animal-welfare authorities and provide farmers with clear guidelines for raising healthy mink. Under the auspices of the National Farm Animal Care Council, the industry is now developing an inspection and certification system to provide additional assurance that the codes are being properly implemented in farms across the country. Are animals skinned alive in the fur trade? Is it ethical to raise animals for fur? While most people eat meat, some suggest that using animals for other purposes may be less defensible. From an ethical perspective, however, what is important for the animal is that it be raised and, if necessary, slaughtered in a humane way. The environmental impacts should also be considered, because farmed mink and foxes are fed by-products from our food production that would otherwise end up in landfills. And while fur is the main product, mink oil is also valuable for leather preservation, while the carcasses, manure and soiled bedding are composted or used to produce organic fertilizers and even biofuels. Everyone is entitled to their opinion, but ethics also should include the obligation to respect the right of others to decide for themselves if they choose to wear fur ... or to use leather, wool or other animal products. What is important in each case is that the animals be treated responsibly. In the case of mink, it is also important to know that fur is not the only product. Although fur is the most important product, mink oil is also important (it is considered to be the best conditioner for leather), while the manure is a valuable organic fertilizer. Mink carcasses and soiled bedding (straw) are also composted to produce fertizers. And on the Pacific North-West, fishermen prize mink remains as the best crab bait. The whole principle of carrying capacity is that if you let animals flood their environment they are subject to diseases, shortage of food, and starvation in the winter months. The trapping principle is that in the fall of the year, when the population is at its highest, you remove some individuals. In doing this, you remove the competition of food, you remove the severity of winter on the individuals that are left, and their reproductive rates are great They are in good shape in the Spring (as opposed to when they are overpopulated) and the population bounces back. You have a sustainable population rather than a boom and a bust, and that is the purpose of wildlife management. Trapping today is a strictly regulated activity. Trapping practices are controlled by laws that ensure strict animal-welfare standards as defined by veterinary pathologists. We have humane standards and certified traps. Most animals are now captured in lethal traps that can kill virtually instantly. Larger predators are taken in modified live restraint traps that generally cause few injuries. Only a few furbearing species are still captured with modified restraining or cage traps, which have been shown to cause few or no injuries. Is it humane to keep farmed mink in cages? Scientific research established cage sizes to ensure that mink are provided with a comfortable living space in a farm environment. Farmed mink, moreover, are not “wildlife kept in captivity”. Mink have been raised on farms in North American for more than 100 generations: 2,000+ years in human terms! Farmed mink are domesticated animals, and farmers are responsible of ensuring their welfare with proper nutrition, housing and care. Ranchers work hard to raise healthy animals; in fact, their livelihood depends upon it! The way in which farmed mink are raised has been refined and perfected over many years. This work is guided by research to determine optimal cage size and design, nutrition and recommended husbandry practices, in order to ensure the health and well-being of the animals. What happens when mink are released from farms by activists? Because mink are like any other domesticated animal, they require farmers to take care of them for basic needs like food, water and shelter. When domesticated mink are released in the wild, they don’t know how to fend for themselves and die of starvation. When farms are attacked by animal rights extremists, both the animals and the people living on the farm suffer. Farmed mink have been raised in captivity for more than 100 generations; they are not prepared to survive in the wild. Many will die of starvation or dehydration unless rescued quickly. And because they associate the sound of motors with the farmer’s feeding cart, mink that do leave the barn often stray onto the road and are hit by cars. It is devastating for farm families too, of course, when strangers break into their property in the middle of the night, masked and dressed in black, destroying property and harming the animals that farmers have worked so hard to raise and care for. What is mink oil used for? Mink oil is a by-product of fur farming which comes from the fat on a mink’s abdomen. Once touted as a magical tonic for skin and hair, it’s now mostly used for less exotic purposes like leather conditioner and bio-fuel. After World War II, mink fur emerged as a fashion favourite, eclipsing the pre-war favourite, fox. Mink farming took off and a steady supply of mink oil was available for the first time. 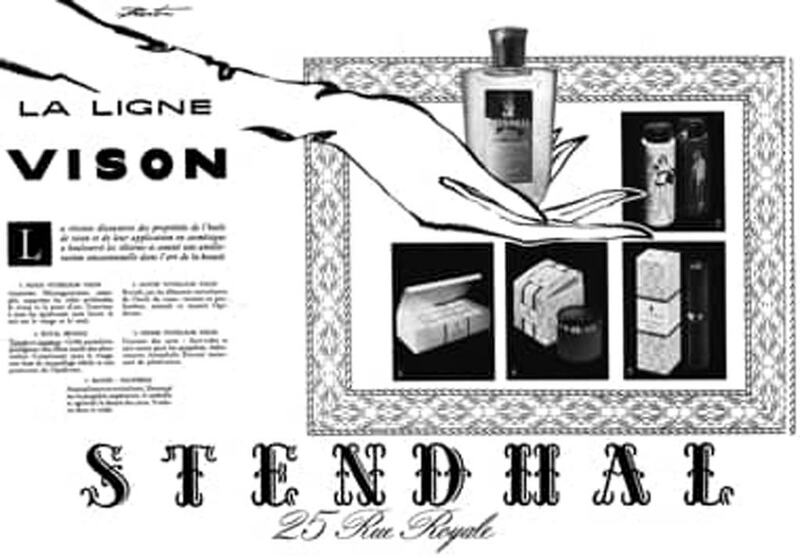 In 1949, a Paris-based company called Stendhal launched “L’huile de Vison” (The Oil of Mink) but things took off in the early 1960s with Stendhal’s “La Ligne Vison” (The Mink Line), featuring mink oil in pure form and in sunscreen, eye shadow, skin cream and soap. Competitors followed suit, adding mink oil to lipstick, cleanser, moisturizer and hair products. In regions where mink farms are clustered, the steady supply of fat is especially prized. Bio-fuel producers know that its protein level is higher than other animal fats, and that means more energy per unit. A good supply also makes refined and purified mink oil a viable business for use in cosmetics, leather conditioning and other purposes. And that’s why North America’s biggest mink oil producer (as of 2017) is based in Nova Scotia, the heartland of Canadian mink farming. Spec Environmental Solutions, which also composts mink carcasses, renders the fat at 70°C, producing some 500,000 lbs of mink oil last year. Spec refines some of its mink oil for specialty markets but sells most in raw form to companies that further refine it for sale to end users. Most ends up with tanneries to make leather pliable and waterproof, but consumers also buy it to condition leather saddles and baseball mitts, to waterproof boots, and other uses. In Europe, another centre of mink farming, the story is a little different. Strict EU regulations governing the disposal of carcasses mean that almost all mink carcasses, along with the fat, are turned into bio-fuel. You didn’t find answers to your questions? Ask us!